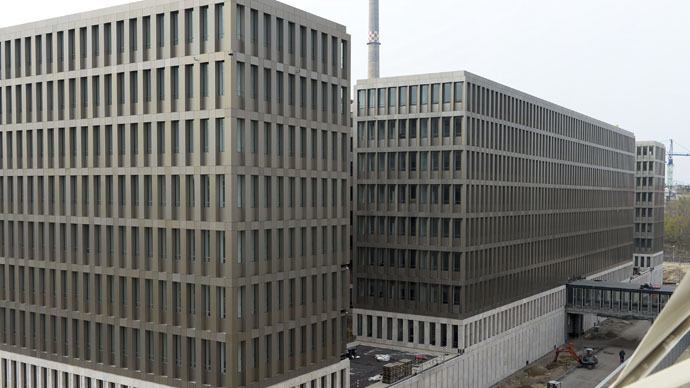 Germany's BND intelligence agency sends enormous amounts of phone and text data to the US National Security Agency (NSA) each month, Die Zeit Online reported, adding yet another layer to the spy scandal embroiling the German government. About a fifth of all metadata gathered by the BND each month, or some 1.3 billion pieces go to the NSA, the websitereportedon Tuesday, citing confidential German intelligence files it obtained. German media earlier revealed that BND was collecting 220 million metadata pieces per day, which amounted to an estimated 6.6 billion a month. The metadata of phone calls and text messages includes contact details and times of activity, but not the actual content. According to the leaked BND files, the metadata, which was sent to the NSA, was mostly that of foreign communication taking place in crisis regions. "It is questionable as to whether this practice is covered by German laws," Die Zeit wrote, citing a BND official responsible for data protection. Reuters said that a BND spokeswoman declined to comment on the report. Last week, German intelligence sources said the agency has now halted its internet surveillance for the NSA. The spying cooperation between the two agencies has rattled the German government, with critics accusing Chancellor Angela Merkel's staff of green-lighting the BND to help the NSA spy on European officials and firms. They also claim German officials lied about the possibility of a US-German “no spy deal” before the election in 2013. The German public has also voiced their disapproval with Merkel. Last week's Infratest Dimap poll showed her approval rating had fallen five points to 70 percent – her lowest rating since December. The Die Zeit report came on the same day that WikiLeaks released new documents showing the BND actively helped the NSA spy on European citizens and companies. Berlin had previously denied those allegations. While it has been alleged that the BND has been helping the NSA for over a decade, it wasn't until Edward Snowden's revelations in 2013 that an investigation into the spying activities took place.